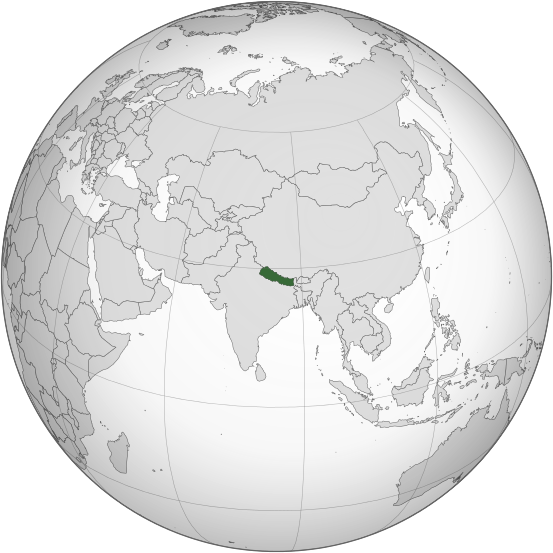 Nepal is a land-locked country in South Asia. It is located in the Himalayas and bordered to the north by China and to the south, east, and west by India. The mountainous north of Nepal has 10 of the tallest peaks in the world, including Mt. Everest or Sagarmatha as the Nepalis call it. The southern region, the Terai, is flat and fertile. 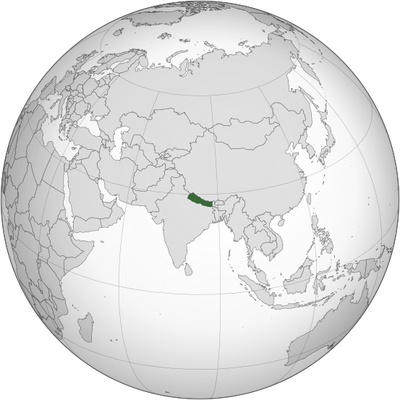 Nepal has a population of approximately 27 million. HInduism is practiced by 81.3% of Nepalis. Buddhism is linked historically to Nepal, although only 9% of Nepalis practice it. Some residents in the hill region may identify themselves as both Hindu and Buddhist, and they often blend practices of both religions. Nepal had a monachary throughout most of its history. A decades-long civil war initiated by the Communist Party of Nepal lead to an agreement in 2008 to abolish the monarchy and develop a federal multiparty representative democratic republic. The government continues to have challenges with bickering political parties and an inability to approve a constitution. 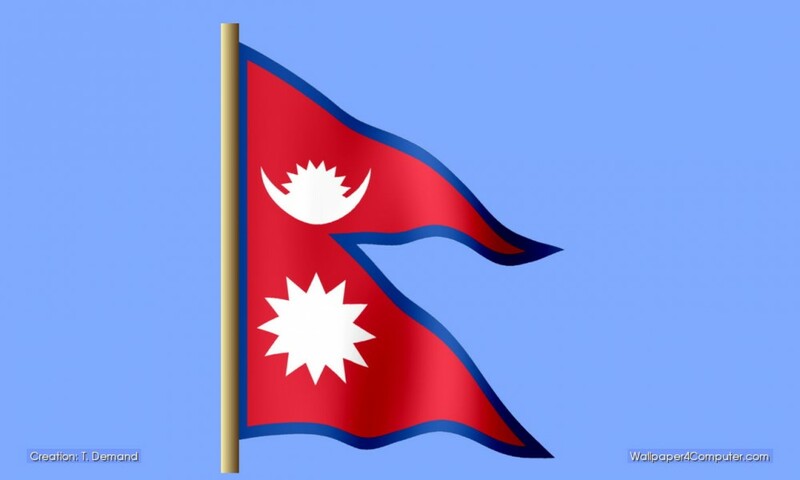 With the country under scrutiny following the April 25 earthquake and promises of international aid, the Constitutent Assembly has focused on developing a workable constitution that all political parties and the Nepali people can agree on. The rate of unemployment and underemployment reaches one-half the working age population in Nepal. As a result, many young men and women find employment in the Gulf states, Malaysia or Indonesia. They work in difficult conditions and make a minimal wage. They send the majority of the money to their families in rural villages. These remittances account for almost 25% of Nepal's GDP. The overall literacy rate in 2011 was 65.9%, with the male rate at 75.1% compared to the female rate of 57.4%. The Nepali government declared 2014-2015 the Illiteracy Elimination Years, so the rates of literacy have been gradually growing. Enrollment rates for children in primary school is 90%. However, this rate declines significantly at secondary school (grades 9-12 ) with an enrollment rate of only 24%. Fewer girls than boys enroll in secondary school and among those who do, fewer complete 10th grade. Early childhood education sets the stage for future school success for both boys and girls. Nepal continues to be a developing country with a low income economy. It ranks 145th out of 187 countries on the Human Development Index. It continues to struggle with hunger and poverty. The earthquake in April 2015 has been a big setback for the country. However, many Nepalis are hoping that the foreign aid will help to decrease corruption in the government and give Nepal a chance to rebuild a stronger country. Go to Taluwa Project, Thulachhap Project and Bhadaure Project to read about our early childhood programs in Nepal.